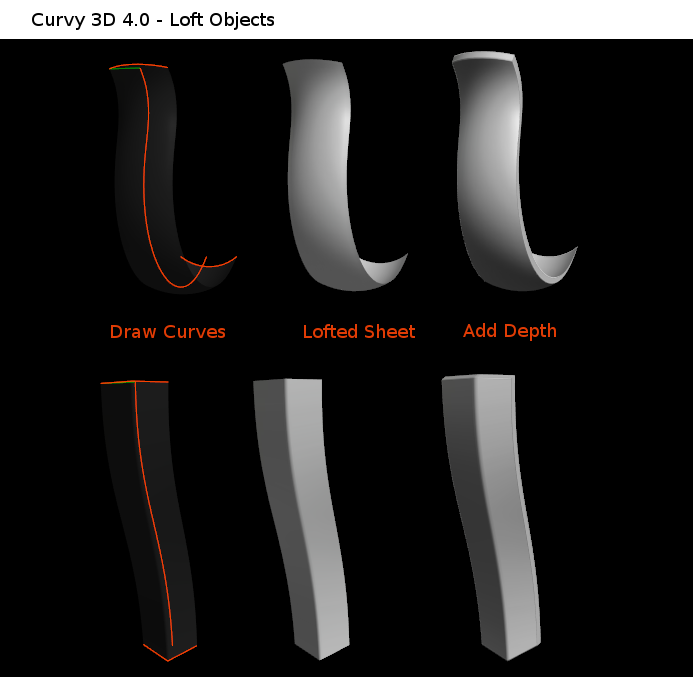 Here are a few workflows to make Curvy Objects in Curvy 3D 4.0 based on my Agile Robot model. The Loft Object was particularly useful with it's new Thickness slider. Taking care to draw the length of the loft first, and then lines at either end. For the mask I used a Thick Loft to create one side and Mesh Mirror to create the other. 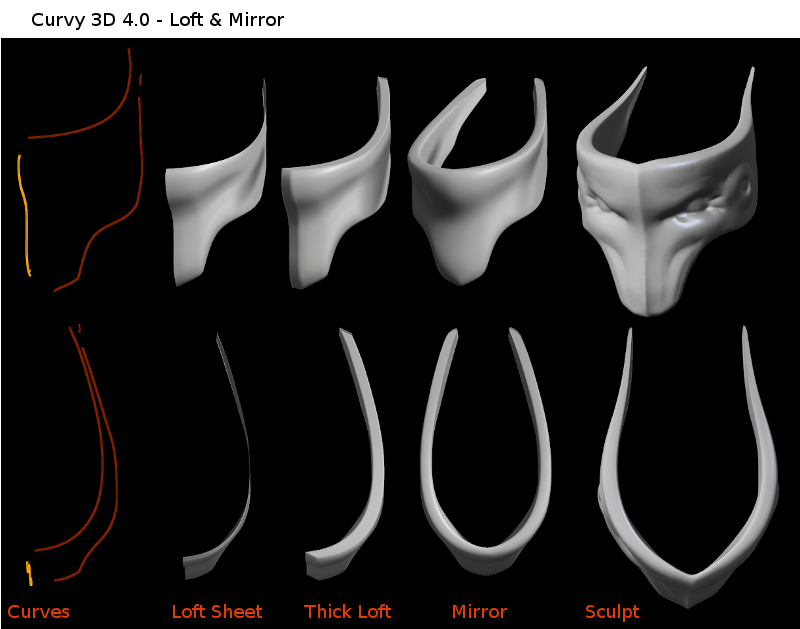 Using Mirror let me create a corner at the front of the mask, as well as ensuring a good closed mesh. I used the Taper Action to thin down the 'horn' spikes, and the Clay and Pinch brushes for sculpting. 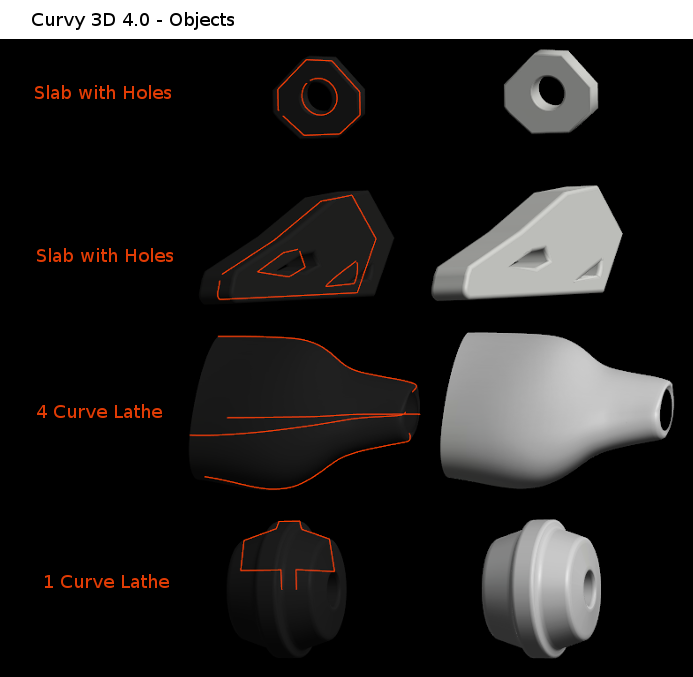 Slab's in 4.0 can have holes, as demonstrated by the first examples here. For the Lathe's curves I used the Ruler set to Bezier mode to redraw sections as smooth beziers. 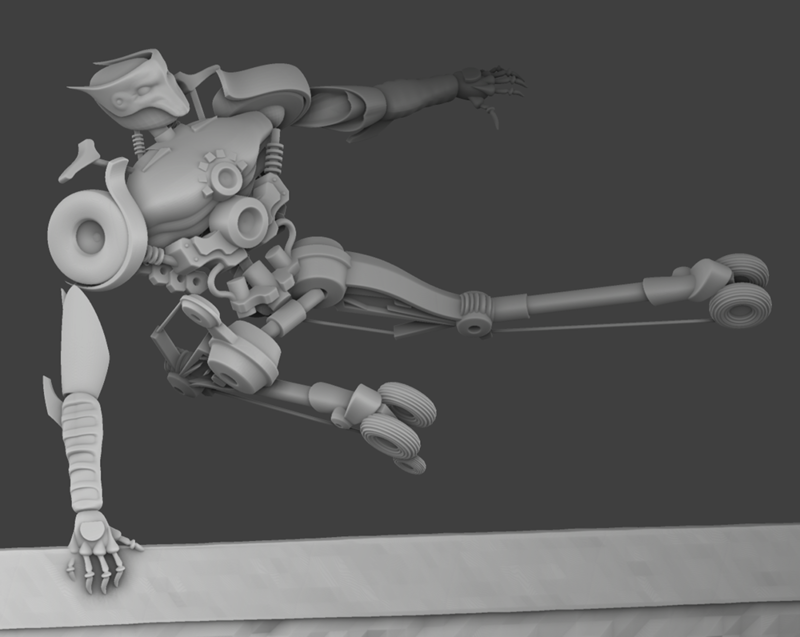 And the final render is here. Thats pretty interesting. Gets the mind thinking about uses.